There’s a major East London ADVENTure happening this December at the Andaz hotel, Liverpool Street. 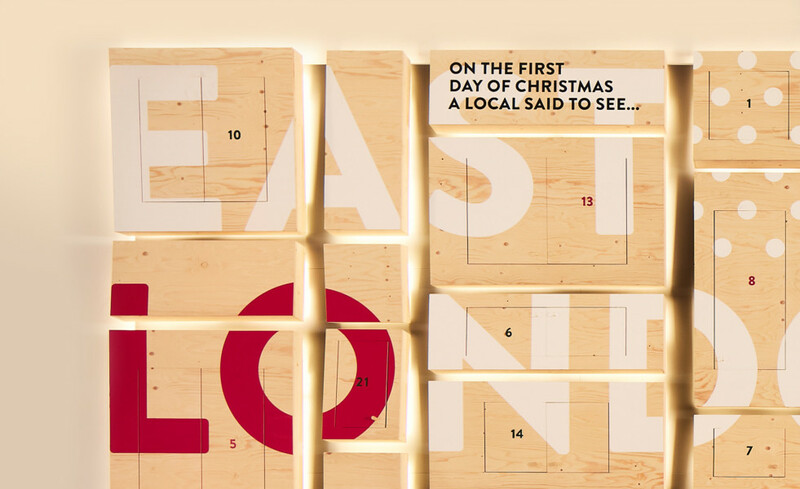 Junior has collaborated with Stables+Lucraft to create the worlds biggest Christmas calendar. In the heart of Shoreditch, the ANdAZ hotel, built originally in 1884, now hosts over 250 guests a night. Part of the Hayatt group, ANdAZ is globally recognised for contemporary luxury and culturally embedding themselves in all of their unique settings. 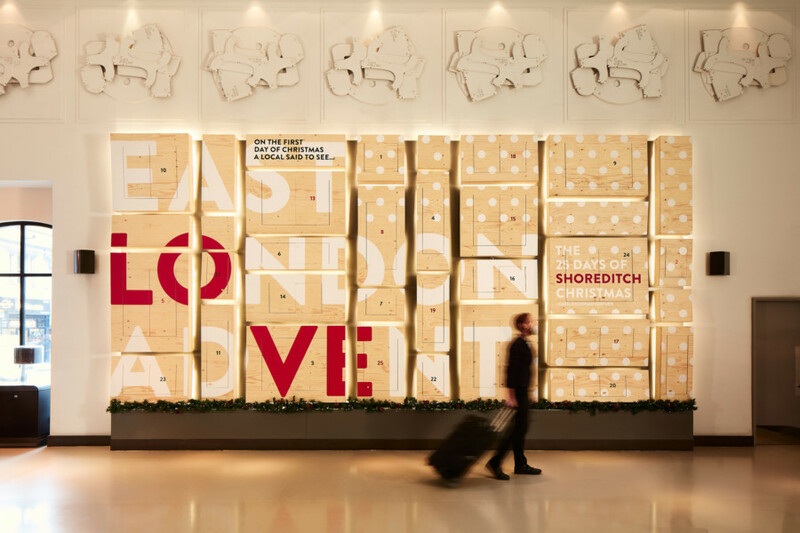 The team approached Junior and Stables + Lucraft with the brief of creating a Shoreditch-centric Christmas installation that embodied Andaz’s non-traditional approach. 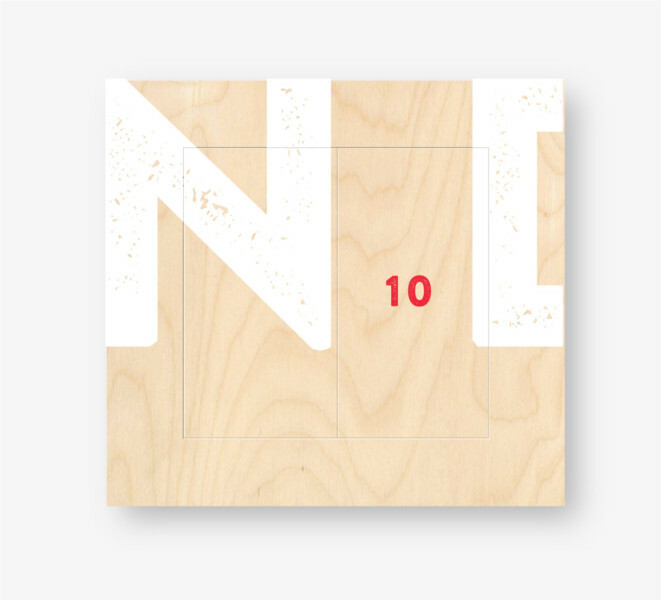 Our concept was to clad Andaz’s iconic mirrored wall, found in their foyer, with a bespoke advent calendar. 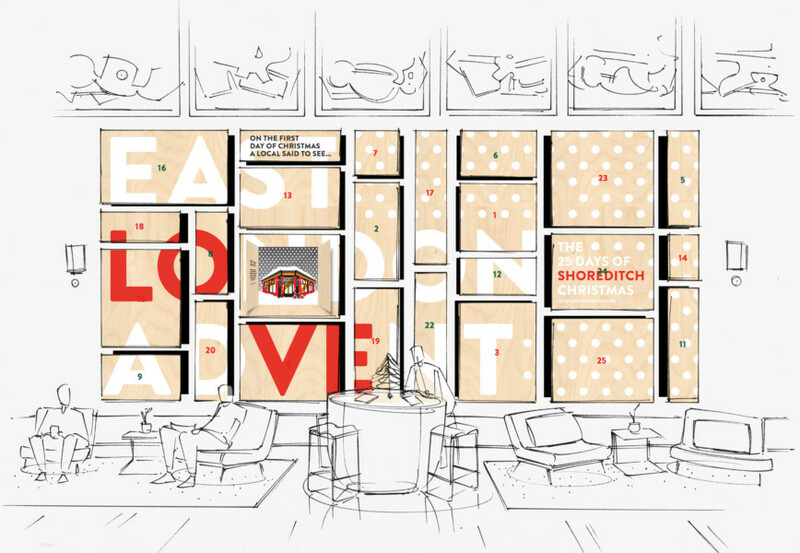 We created 25 framed scenes guiding guests around the hidden secrets of Shoreditch. 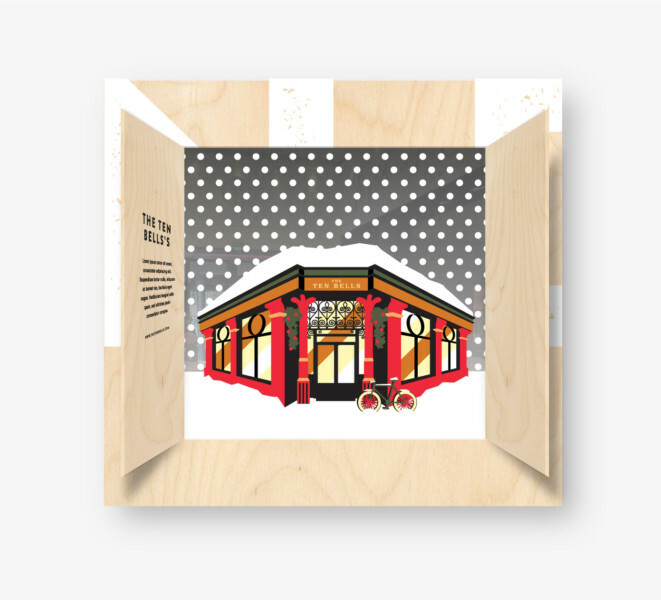 Based on the classic carol, ‘The twelve days of Christmas’, which traditionally features milking maids, swimming swans and two turtle doves, we pointed people instead to ‘ten bell’s a ringing’ (the iconic Spitalfields pub) and ‘11 Pies a piping’ (the famed local pie shops). The idea was to create a dynamic installation that would slowly transform over the Christmas period. Morphing from an industrial bare-wood fascia into a vibrant collection of richly coloured artworks. Read more about Junior and Stables + Lucraft collaboration here.